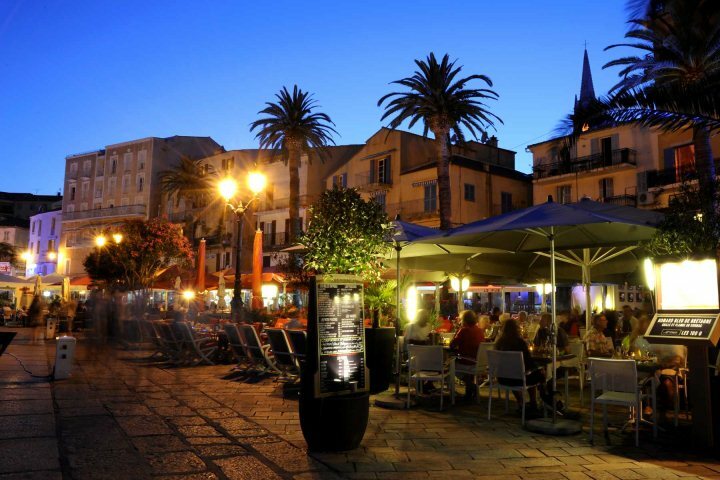 Calvi, in the north of Corsica, is a wonderful town with an impressive citadel looking down over a luxury yacht-filled marina with a fantastic array of restaurants, cafes and bars to choose from. 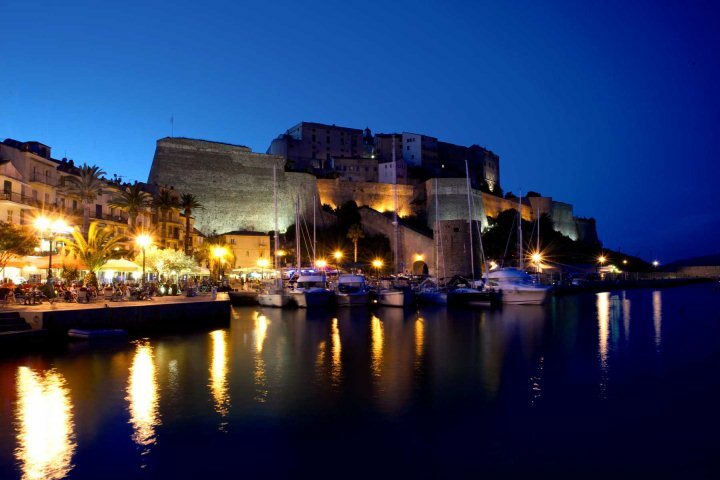 I’ve visited Calvi many times, both on holiday and whilst on photography assignments for Corsican Places. 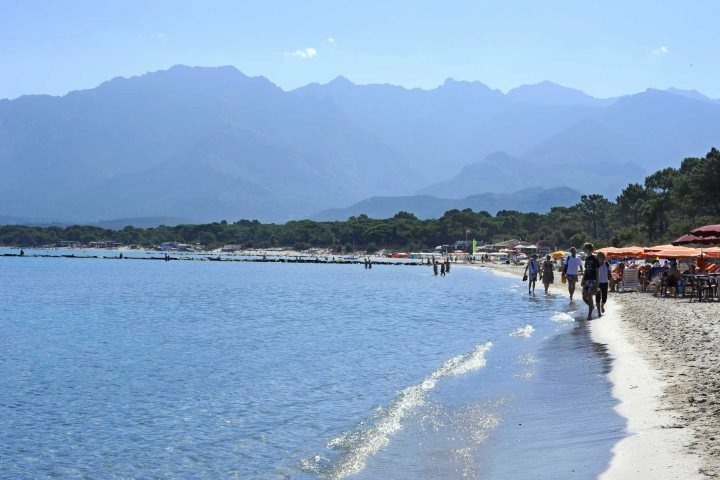 It’s the home of some wonderful festivals and a lovely place to explore and, just outside the town centre, there’s a magnificent sweeping bay with a white sand beach and a backdrop of pine woods and mountains. Dotted along the shoreline you’ll find more enticing eateries. With so many restaurants to choose from where do you start? For lunch, the restaurants along by the beach are a wonderful setting. The view across the crystal clear water to the citadel is stunning. 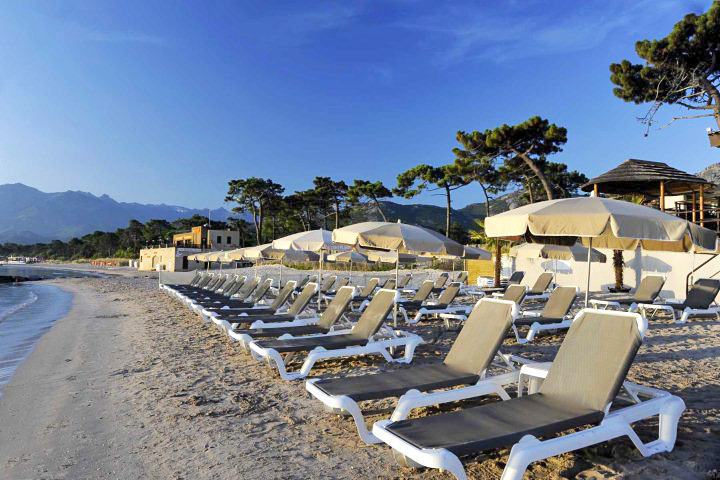 They are, however, rather expensive and even if you have spent a lot on a meal you will still be expected to pay about 10 euros for a half day rental for a couple sun beds and an umbrella. Most are usually closed in the evenings. Another area people tend to head for is the marina along Quai Landry – a great place to people-watch and to admire the expensive yachts, but for better value, an even warmer welcome and I think a better atmosphere, I prefer those set back from the marina. A Cicala is a lovely little restaurant, decorated in a cheerful yellow and green, next to Calvi’s covered market on Place du Marché. Specialising in fish and paella, it has been recommended by the Guide Petit Futé a number of times. When I was here I found a pleasant welcome and good service. I had a very good lasagne here. Another restaurant which I found quite charming was Casa Vinu on Boulevard Wilson. It was fairly early in the evening and there was no one else in the restaurant other than three generations of the family who owned it. They sat chatting away on a table near me and although no one spoke English, and my French is minimal to say the least, I was made to feel very welcome. Rather than choose anything from the menu on the blackboard I was offered a pie and, with no idea what was inside, I smiled and nodded. Soon, said pie returned, heated up and with a side salad. The vegetarian dish was not the most delicious meal I’d ever had but I really enjoyed the atmosphere of this simple pavement café that looked as if it would be at home in any Impressionist’s painting. 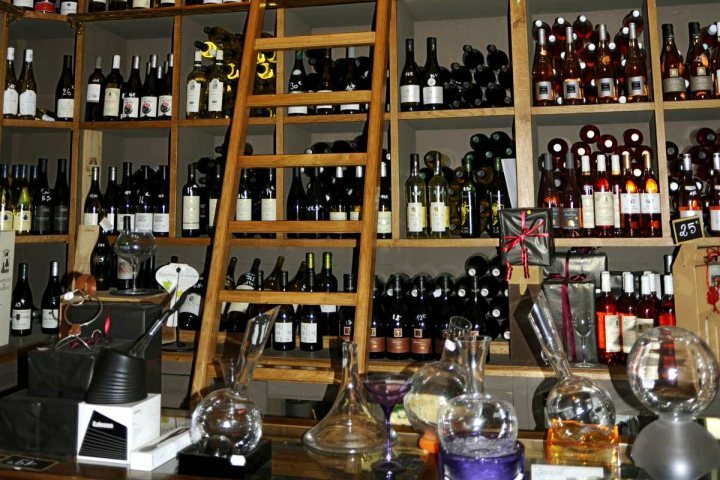 I would also suggest a visit to Casa Vinu to any wine connoisseurs as inside you will find Serge Ricco’s wine cellar and you will receive good advice on the wines of Corsica, I’m assured. 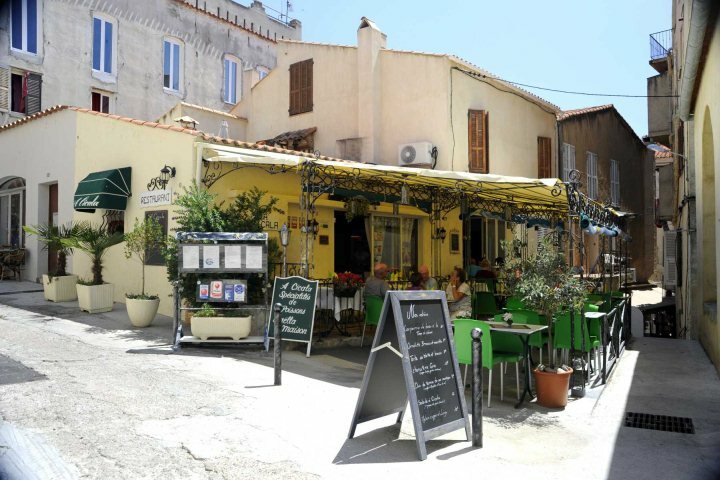 If you are feeling energetic enough to climb the stairs, Calvi’s citadel offers a number of good places to eat, however, these are again rather more expensive, which isn’t surprising considering their atmospheric location. 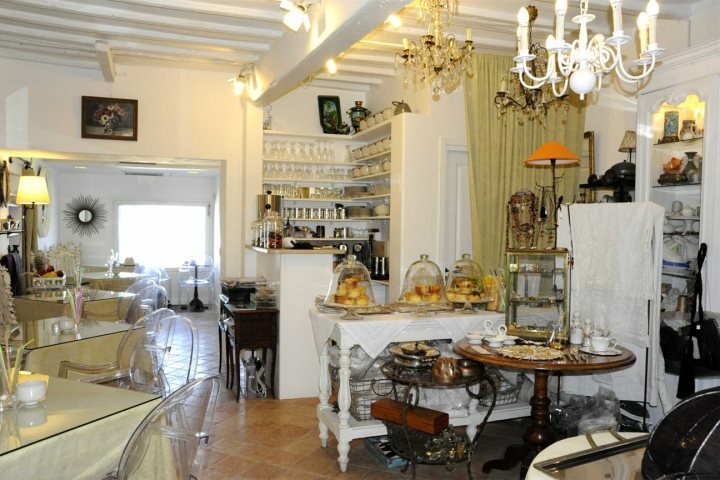 Opposite the cathedral entrance you will find the pretty tea rooms of Salon de thé A Scola, a great place to take time out during a busy day of sightseeing with a cup of tea or coffee and a slice of cake. The pretty interior is full of interesting bric-a-brac and a few antiques. Either sit inside by a picture window overlooking the sea or on a table on the cobbled street overlooking the Place d’Armes. For a more substantial meal there are three restaurants in the citadel, two on Place d’Armes but I prefer, A Candella, which you will find down a side alley off the square, just past the Oratoire. 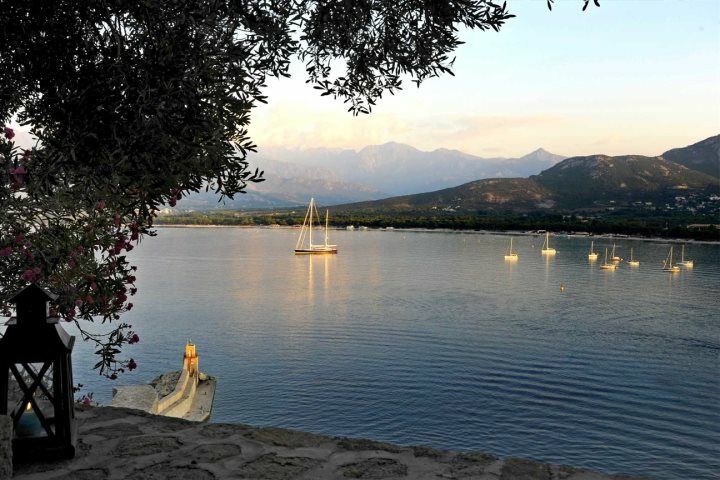 With a stunning view over the bay of Calvi it is the perfect place for a special meal. Your waiter will bring out a blackboard displaying the day’s menu and I found the service very good (and quick). I chose the honey-roasted pork with a fig and muscat sauce served with mixed vegetables and herbed, roasted new potatoes. 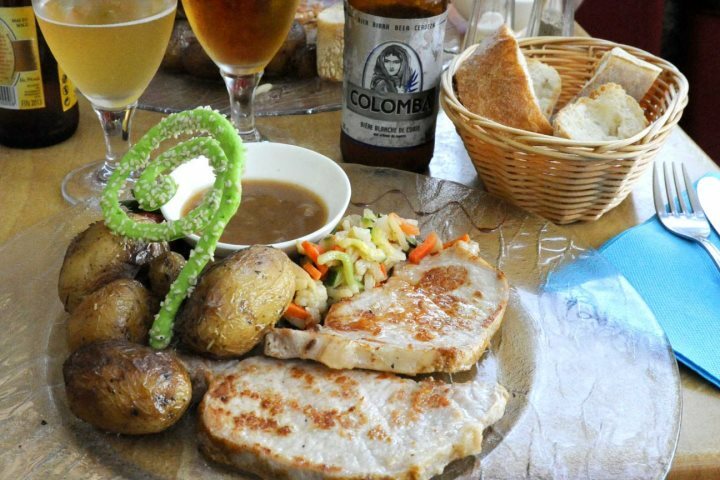 It was delicious washed down with a local Colomba beer. For a cheaper option, take the road leading out of Calvi (towards the airport). 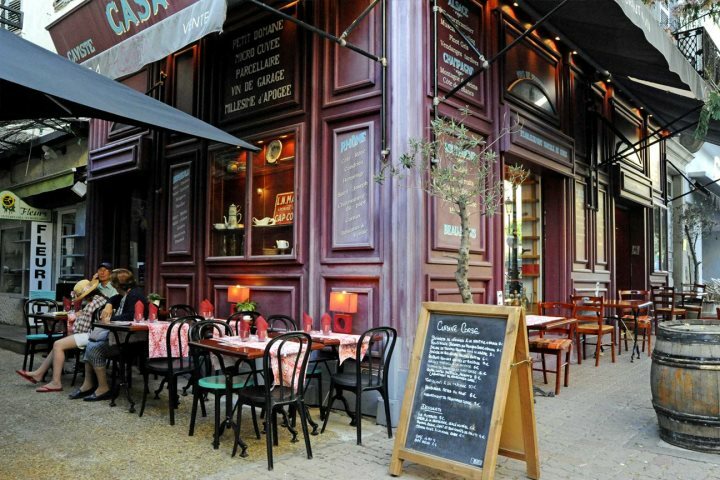 Here you will find a number of pizzerias as well as restaurants serving traditional fare. These tend not to have the charm or the views of the town centre or the citadel restaurants, both of which are mainly pedestrianised areas, however, they are worth visiting if you have to watch your budget and I found the passing cars fairly unobtrusive. Alternatively you can always pick up something delicious from a pâtisserie and have a picnic on the beach. Set back from the beach on Avenue Christophe Colomb opposite the turning for Route Pietramaggiore is the delightful mini-market of Au marché de l’Orée des Pins selling fruit and vegetables, fresh bread, wine, honey, charcuterie and ‘home-made’ pizzas, quiches and delicious fruit tarts; although you should keep in mind that it shuts for lunch at around 12.30pm. A stroll back along by the marina is the perfect way to relax after an evening meal, and there are a number of places selling delicious ice creams. For a few euros you can have a large scoop of chocolat noir, which for me is a little taste of paradise in an ice cream cone, but there are a myriad of flavours to choose from. The bar/ice cream parlour/café Le Glacier also on Quai Landry often has live music and I’ve heard some excellent gypsy swing guitarists here and if you feel like really indulging, for around 10 euros, you can have a seriously huge glass of various flavours of ice cream with fruit. Tempted?